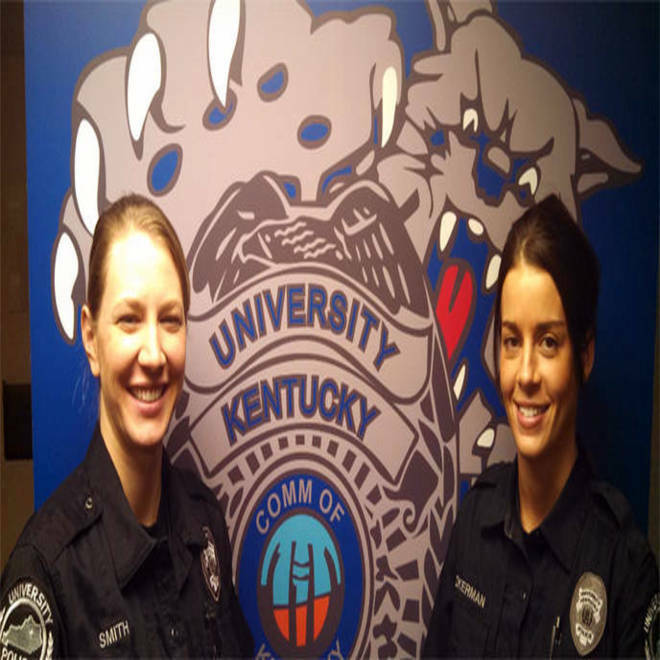 University of Kentucky police officers Emily Smith, left, and Jennifer Ockerman followed what their instincts when they noticed a toddler improperly dressed for a frigid winter night on the campus. Alouette Day-Moreno-Baltierra, 17 months, was spotted in Kentucky by two officers. When two University of Kentucky officers noticed a toddler in nothing but a short-sleeved onesie being pushed in a stroller on a windy, frigid night, they had a “gut feeling” that something was amiss, said University of Kentucky Police Chief Joe Monroe. That hunch led to the discovery of a 17-month-old girl who was reported abducted from Los Angeles, possibly by a family member, on Oct. 15. A woman who police believe is the toddler’s grandmother was taking the child – without shoes, gloves, hat or anything to protect her face – on a stroll through the University of Kentucky campus Thursday night, when the temperature had dropped to 29 degrees and the wind was blowing about five miles per hour, Monroe told NBC Los Angeles. 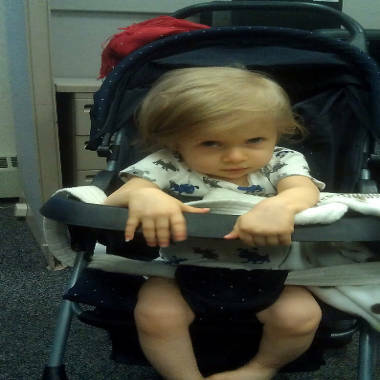 Campus police officers Jennifer Ockerman and Emily Smith spotted Maria Baltierra-Dejesus, 62, pushing Alouette Day-Moreno-Baltierra in a stroller through a campus parking lot. "This is an example of where the responding officers followed a gut feeling that something just wasn’t right with the situation," Monroe said in a press release. Baltierra-Dejesus, who lives in New York, was booked in Kentucky on suspicion of endangering the welfare of a minor and custodial interference. She was receiving medical treatment Friday night, though Monroe would not say why. Monroe said it was not clear where the girl’s parents are, and that she apparently belonged to the State of California. For now, Alouette is in custody of the Kentucky Child Protective Services, which is working with LAPD and the FBI to return her to California, Monroe said.